ATHENS - Todd Hartley, a University of Georgia graduate who has also been a full-time staff member with the Bulldog football program, has been named the team’s Tight Ends Coach, according to an announcement Monday by UGA head coach Kirby Smart. Hartley, a native of Gray, Ga., has served as the University of Miami’s Special Teams Coordinator and Tight Ends Coach for the last three seasons. "We expect Todd to be a great fit back at Georgia,” Smart said. “He worked with the team while he was in school at UGA until he graduated and then returned to our program for another year later in his career in a separate role so there is no doubting his allegiance and excitement about returning to join the Bulldogs. Todd has proven himself as an excellent position coach and as a top-notch recruiter and we look forward to his return to Athens." During his tenure with the Hurricanes under head coach Mark Richt, Hartley coached tight end David Njoku before he was taken in the 2017 NFL Draft as the 29th overall pick and also guided tight end Christopher Herndon as he was drafted in the fourth round as the 107th overall pick in last year’s NFL Draft. Njoku exploded for 698 receiving yards and eight scores during his final year with Miami. Most recently, Hartley signed tight end Brevin Jordan out of Las Vegas, who was ESPN.com’s top ranked tight end in the 2018 class and No. 20 on the 2018 ESPN 300 list. Jordan finished his first season as an All-ACC Second Team selection after hauling in 32 passes for 287 yards and four touchdowns. Also as Special Teams Coordinator for the Hurricanes, Hartley led kicker Michael Badgley to All-ACC First Team honors. Badgley became Miami’s all-time leader in career field goals made and points scored during his final year in 2017. In addition, punter Justin Vogel averaged a career-best 43.8 yards per punt, which ranked 21st nationally, under Hartley’s leadership while Braxton Berrios’ average of 11.3 yards per punt return were the 11th-most nationwide. 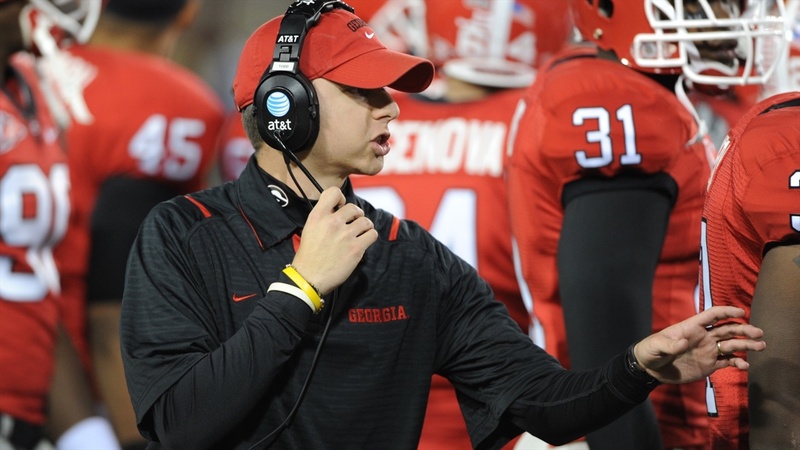 Hartley arrived in Miami after serving as Georgia’s Director of Player Personnel in 2015. He accepted his coaching post with the Hurricanes at the end of that season. Before his return to Georgia, Hartley spent four years at Marshall serving in a variety of roles including tight ends and safeties coach and recruiting coordinator from 2011-14. In 2014 at Marshall, Hartley coached punter Tyler Williams to First Team All-Conference USA honors and tight end Eric Frohnapfel to C-USA and honorable mention All-Conference USA honors, making it the fourth straight year he coached at least one all-league student-athlete. His Marshall punt unit tied for first in the league in average (43.23) and his kickoff return unit ranked second in the league with a 24.61-yard average. Kickoff return man Deandre Reaves totaled 931 return yards, breaking his school record of 924 from 2013. His extra-point/field goal unit set school records in extra points made (83) and kick points (133). Prior to the season, his recruiting class was ranked as the best in Conference USA by various recruiting services by a wide margin and among the best within the Group of Five. In 2013, Hartley mentored Gator Hoskins, a two-time John Mackey Award Watch List honoree who secured a spot on the award’s semifinalist list as a senior. A Third Team CollegeSportsMadness.com All-American and First Team All-Conference USA selection, Hoskins finished his career with 28 touchdowns on 99 receptions totaling 1,318 yards. The only player in Herd history to top Hoskins’ 28.3 percent touchdown-catches ratio was Randy Moss (31.5 percent on 168 receptions, 53 touchdown catches). Hartley originally joined the Bulldogs as a student assistant at the end of the 2005 season and worked with the offense and special teams until the spring of 2008 while he was an undergraduate. Georgia had an 11-win season and tallied three bowl victories during Hartley’s years working with the Bulldogs, including a 41-10 rout of No. 10 Hawai’i in the 2008 Sugar Bowl. He was instrumental in preparation of the Georgia defense for the 2009 Independence Bowl at a time only one full-time defensive assistant was on staff. Hartley graduated from Georgia with a degree in health and physical education in May 2008. He arrives back in Athens with his wife, Jessica, and four children: Tucker, Tenley, Teagan and Tatum.